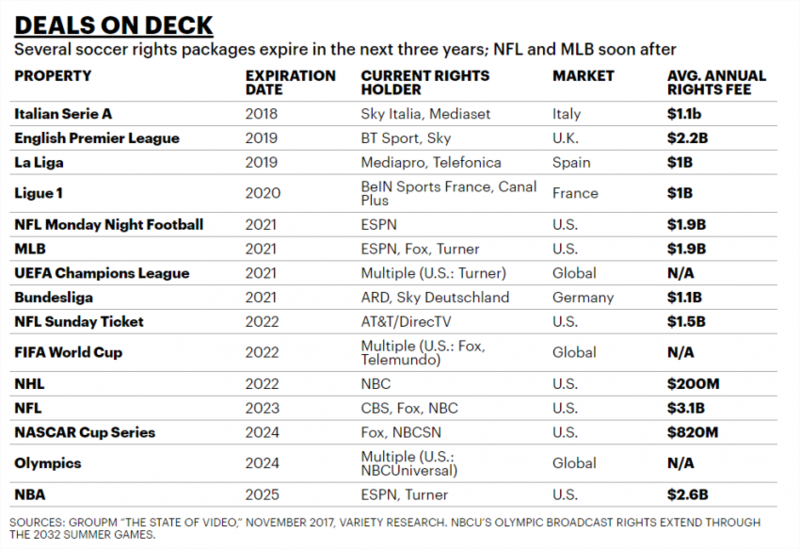 2018 may still be in its infancy, but the battle for tier one sports rights packages is already intense. In many ways, sports is the glue that holds the pay-TV bundle together. What is particularly unsettling for the traditional media powers is that they know both the emerging and established digital companies have plenty of power, especially if they decide to ramp things up. As you can see from the chart, these sports rights are big business, so it’s little wonder why there’s such a big scramble for broadcasting victory. 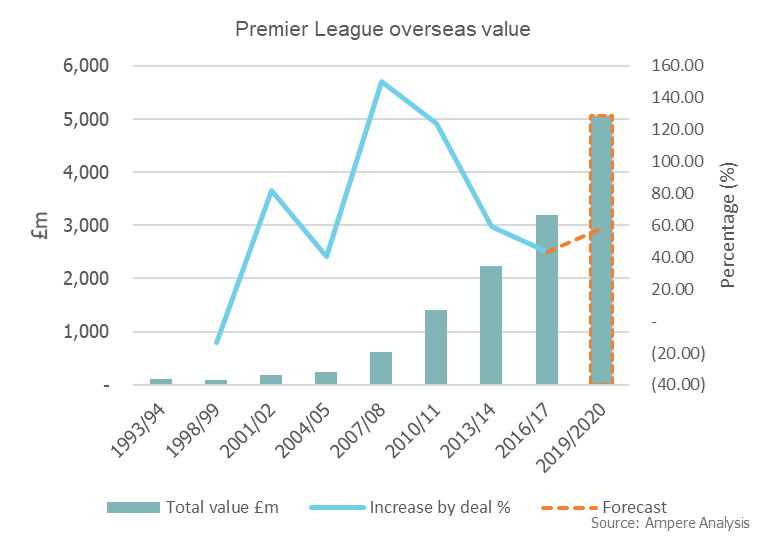 With one of the most popular competitions, the English Premier League, the broadcasting rights set to break the £10 billion mark for the first time, mostly due to the rise of the international rights value. Now, in recent years the number of linear OTT offerings have risen, driven by the growth documented in specialized in sports and kids’ content. 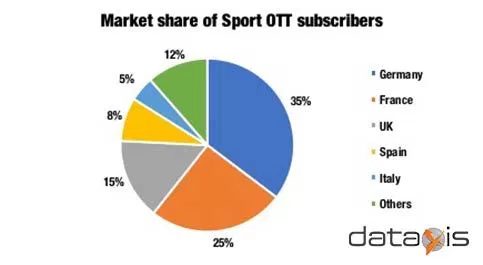 Sports-based OTT platforms like Bein Sports Connect, Eleven Sports or Dazn have managed to attract a notable number of sports fans, which represent around 25% of the total number of linear OTT subscribers as of Q3 2017. And as the hunger for sports rights heats up more, we can expect to see some pretty intense rivalries coupled with some incredibly noteworthy offerings as the year continues. Things are hotting up, they’re unlikely to simmer down soon and it will be interesting to see how the world of sports entertainment evolves and adapts in the coming months.